Natural and fresh tea leaves that we collected from Assam for you. Our Green tea with honey and lemon flavor is best to improve your Absorption, Skin, Digestion and help in weight management. 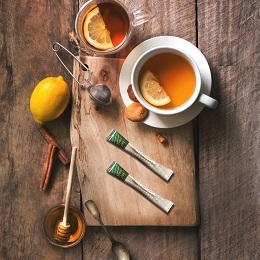 Tea sticks are considered elegantly superior alternative to tea bags and loose leafs as it is dust free. We have amazing different flavored sticks from Green Tea to Black Tea that you should definitely give a once try to. We have also whole Leafs Flavored in Green Tea and Black Tea. You should once try our most likeable flavor Kashmiri Kahwa enriched with richness of green tea cinnamon, cardamon and Kesar then you will find rarest of the rare tea, you have ever tried .